All hail the new American dreamers! Featuring Binx Walton, Natalie Westling, Mike the Ruler, Maddie Ziegler, DJ Mustard, Raury, Laverne Cox, Gia Coppola and much more! Meet the new generation redefining American creativity in Dazed’s Autumn collections issue. On the cover, Roe Ethridge captures the anarchic spirit of young American fashion, embodied by breakout models Natalie Westling and Binx Walton wearing Marc by Marc Jacobs. Inside, we present 50 pages of AW14 collections shot across the States, from the Mississippi wilderness to New Jersey’s malls. We also meet homegrown talents like Telfar and Hood by Air and take a trip inside the kingdom of Mike the Ruler – fashion’s 14-year-old Instagram sensation – as he curates a portfolio of the stylish teens tearing up New York. Also in the issue: dance prodigy Maddie Ziegler talks about her breakthrough year and starring role in Sia’s “Chandelier” video; director Gia Coppola discusses sexing up the suburbs in her debut film, Palo Alto, with star Jack Kilmer; and Raury, the eighteen-year-old genre-blurring musician, invites photographer Danielle Levitt down to Atlanta to meet his rainbow gang. Elsewhere, hip hop's most in-demand producer DJ Mustard opens up his studio for an exclusive interview; Orange is the New Black actress Laverne Cox discusses trans rights; Lily McMenamy illustrates Jeremy Scott’s A-Z of Americana for his fast-food themed Moschino collection; and Michael Avedon pays homage to his grandfather Richard Avedon with a new photography project for our autumn art residency. 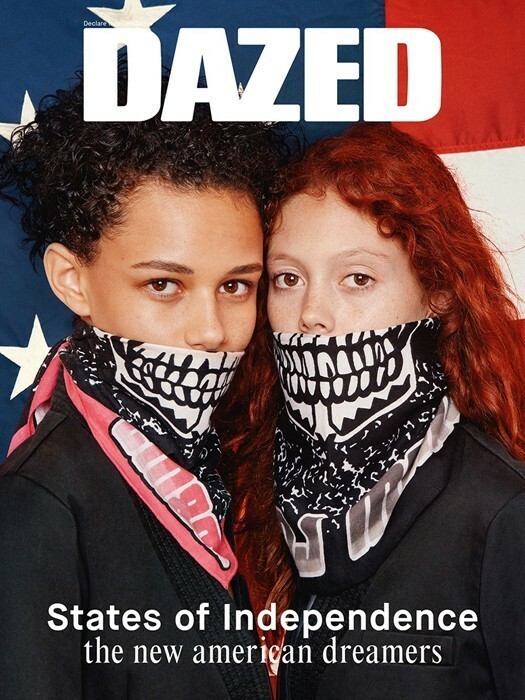 Subscribe to Dazed magazine here or pick up your copy from newsstands on Thursday August 7.